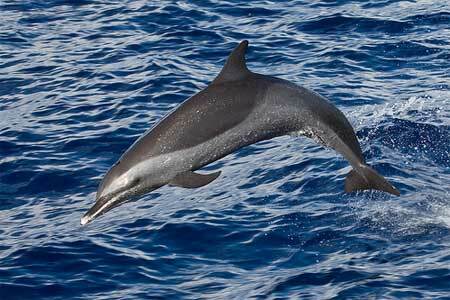 Pantropical spotted dolphins are found all around the world in temperate and tropical waters. Although today it is one of the most abundant dolphin species in the world, during the 1960s and 70s the species is estimated to have 50% of individuals. Its population has declined rapidly due to tuna fishing and trawl nets due to the fact that the pan tropical spotted dolphin is often associated with the yellowfin tuna. The population has fortunately recovered in recent years due to the implementation of dolphin friendly tuna and the prohibition of trawl nets, however the species is still susceptible to degradation and numbers are still suffering due to the threat of fishing activities.